2. 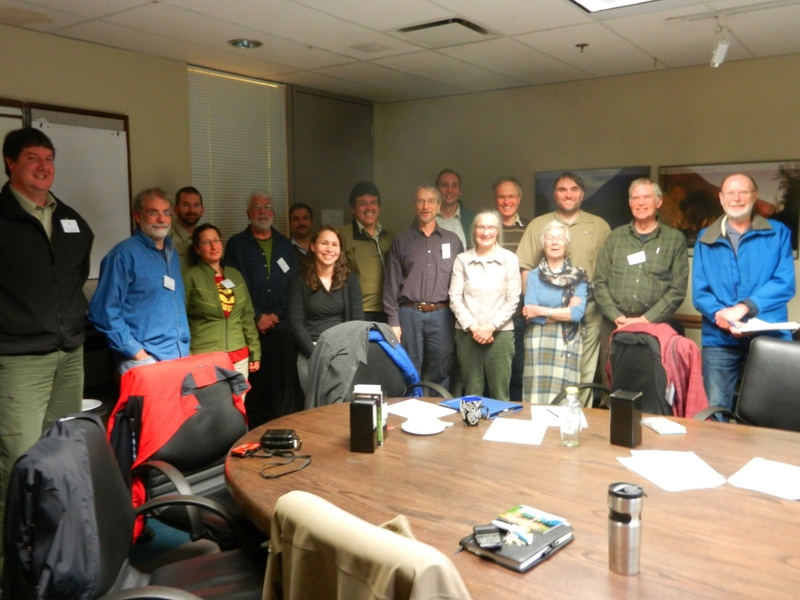 Regional updates: current Ecological Reserves and their wardens and Area Supervisors; BC Parks staffing changes. Getting ER wardens to identify their interest and willingness to review and provide feed back to the ER Warden Hand Book. With regard to adding ER wardens there appears to be bottle necks and delays on Parks side that have resulted in long delays . two examples of over a year and a half were noted by those at the meeting. There are of course work-load implications for staff that have to be dealt with. There has been a problem in finding a warden for the Liumchen ER . Difficult access..
3. Reporting and data collection priorities: invasive plants, Conservation Risk Assessment and Ecological Integrity Reporting. Work is being done on this by Tory Stevens on Ecological monitoring , and shortly plans will be made public. Need for photographs for galleries on websites. They can serve as valuable baseline information. Two new wardens were acknowledged: Nick Yaniw , warden for Stoyoma Creek and Jodie Krakowski, an extra warden for Bayne’s Island. The longest serving warden in the group, Duuane Vandenburg of Pit Polder was recognized. Richard Wallis was also welcomed as a representative of Metro Vancouver as he is in charge of the management for Pacific Spirit Park, which includes the former UBC Endowment Lands. He has worked cooperatively with warden Terry Taylor. It was noted that the actual ownership of the area was in some question, given that BC Parks has removed this ER from their website, but Metro Vancouver, by their signage still recognizes the ecological reserve. Presentations were made by wardens from all of the reserves in this area except those with no warden present,#98,#143, #144, and #153. Signage was not an issue in all parks , but a few, Pit Polder and Stoyoma for instance need to have better signage . John Riley pointed out that for his four reserves in the Skagit , what is needed are more feet on the ground. People to help remind others about where the reserves are and what behaviour is expected, given the special values represented in Ecological reserves. How to encourage research (e.g. by local University researchers) in Ecological Reserves? Mike Fenger noted the survey done recently by a U.Vic student on how U Vic profs have used the Ecoreserves for promoting research opportunities.. with discouraging results. It was pointed out by Parks staff that often research is done in areas around reserves right up to the boundaries where it stops… with the assumption that research has already been done there. 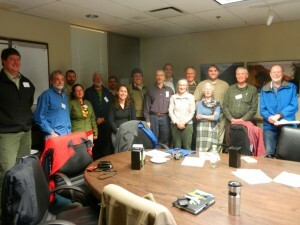 Improving communications between wardens and BC Parks staff. Funding from BC Parks available for areas and ecoreserves. It was noted that Wardens have not been informed about the possibility of funds being available for their reserves. 10. Time to talk one on one with Area Supervisors, Parks staff, or other wardens. The list below represents the ERs included in the South Coast Area.